Pricing may vary depending on the thickness of the magazine, stocks used and size of belly band. Please contact your sales representative for pricing. Thin or flimsy magazines will most likely cause the machine to run at a slower speed. Pricing may need to be altered to adjust for the slowdown. Please contact your sales representative with any questions. Bands will glue to itself and to the publication (opposite side) with glue similar to the type used with tip-ons. The mailing label should not be affixed to the band because of the risk of the band being detached thereby making the host publication undeliverable. Belly banded publications that mail at Marketing Mail rates can mail without a polybag. A 6” band is recommended and the band must glue to the publication. The weight of the band will figure into the postage. Belly banded publications that mail at Periodical rates can mail without a polybag. 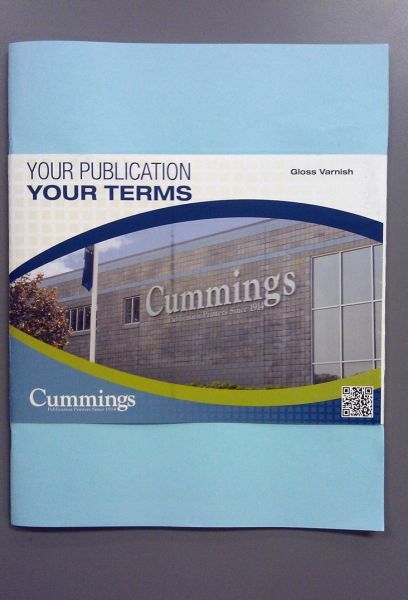 A 6” band is recommended and the band must glue to the publication. If there is advertising on the band it will be included in the advertising percentage of the publication. Belly banded publications that mail at Marketing Mail rates in a polybag can mail with a 6” belly band. The weight of the band along with the polybag will be included in the postage. Belly banded publications that mail at Periodical rates in a polybag DO NOT need the endorsement line “Supplement to” followed by the name of the publication and the belly bands can be 100% advertising matter. “Thickness” refers to the thickness of the bound magazine that the belly band will be wrapping. 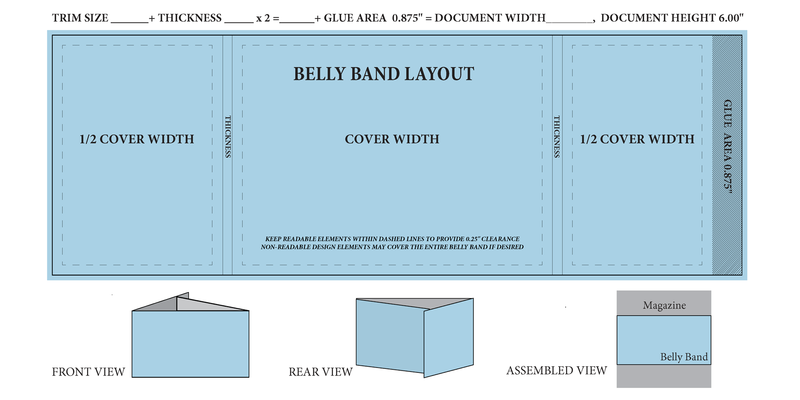 To calculate this, use our belly band calculator and be sure to include covers, text and any bind-in components.